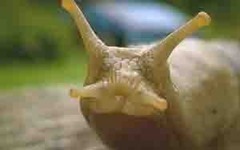 Slugs and snails are persistent pests in gardens all over the world. It’s tempting to kill them with massive doses of toxic chemicals. It’s a lot better idea to use slug and snail barriers and repellents to keep them out of your garden in the first place with copper. Note: You can use the Table of Contents below to jump straight to any part of the review. What you need to know about Slug & Snail Repellents? Copper can be the best solution for your snail and slug problems if you know how to use it. 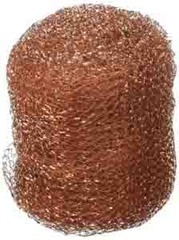 Copper mesh is an attractive addition to your landscape. It does not rust. It is easy to shape to fit the borders of your planting beds, and it can be cut with scissors. Copper is an effective barrier to snails and slugs if you use it properly. The key to success with any kind of copper barrier is making sure it is the finest quality and wide enough. The wider the barrier, the greater the effect. Have you ever heard of pouring salt on a slug or snail to kill it? Or maybe you have tried this method yourself? Copper barriers perform a similar function in slugs and snails, but they act more slowly and more gently. They act from the inside out. They give the creature a chance to flee to safety outside your garden. But if the little pest keeps on coming, copper will dry them out. You may have heard that copper “zaps” slugs and snails with electricity, but that’s not really how it works. Copper slows down their production of slime. Slugs and snails travel on a slime trail. If they can’t make slime, they can’t move forward. They have to turn around or they will die. Some people try to improvise copper barriers that cost more and don’t work. A copper wire does not provide enough copper to “dry up” slime production so the slug or snail has to back up. A copper pipe isn’t wide enough, either. A copper barrier has to be wide enough for it to take a slug or snail several minutes to cross for it to get a big enough dose. The more copper the slug or snail has to cross, the more likely it is to back up. Usually, about 5 inches (127 mm) of mesh or 1-1/2 inches (38 mm) of copper tape is optimal. Copper doesn’t just repel slugs and snails. It changes their internal physiology. It makes them less fecund, less likely to have hundreds and hundreds of offspring, rather maybe just a few or none at all. Exposure to copper causes snails to lay “polynuclear” eggs. The best way to explain this phenomenon is that copper causes baby snails to be Siamese twins. These baby snails don’t live long enough to attack your plants. The more copper a snail absorbs, the fewer offspring it has that survive long enough to cause damage to your garden. Absorbing copper also limits how much a snail can eat. The copper “stresses out” the snail or slug’s digestive tract. It interferes with the ability to digest food. It interferes with the slug or snail’s ability to make energy from food. The toxic effects of copper are limited to slugs and snails that move directly over it. The slowness of their movement gives them maximum absorption. Copper is only absorbed by direct body contact over a long period of time. That is the reason copper is not a problem for pets, people, or other wildlife. There are three great snail and slug repellents and barriers on the market. The Garden Slug & Snail Copper Mesh Barrier & Repellent is unsurpassed and our first choice for controlling snails and slugs. 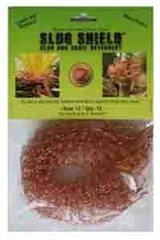 It is made of “Grade A” copper, which is the perennial first choice for natural control of these garden pests. And it is a mesh, which constantly redirects snails and slugs away from your plants. Slugs and snails can’t secrete a slime trail in a straight path to your plants. They have to make 90-degree turns over and over to slime their way to your garden beds. To get across the 5” of Garden Slug & Snail Copper Mesh, a young slug or snail has to travel about 8” in a zig-zag motion. This exposes it to more copper so it can produce less slime and it is more likely to turn around. Even if it manages to cross the mesh, it is “dried out” when it arrives at your prize plants. The secret to success with the Garden Slug & Snail Copper Mesh is making sure it does not sag to the ground. Don’t just put the mesh around the edges of your plantings. Support the mesh with little stakes at 1-foot (30 cm) intervals. Don’t bury it into the ground any more than you absolutely must to make sure snails and slugs can’t crawl under it, no more than 1 inch (2.5 cm) or so. Moist soil offsets the effects of copper exposure. The more copper snails and slugs have to climb up and over, the more likely they are to leave your plants alone. Curl the top edge of the mesh outward so snails and slugs will naturally fall back to the ground. By the time they reach the top of the copper barrier, they will be producing less slime, maybe enough less that they can’t hang on. A good place to compare prices of the Garden Slug & Snail Copper Mesh is on Amazon. Copper mesh barriers work best when they are dry. Don’t spray the copper mesh with water if you don’t have to. And if you live in a particularly damp climate, consider a solid copper barrier like The Copper Foil Tape Barrier & Repellent. There are times you really need foil instead of mesh for slug and snail protection in your garden, like around your potted plants. Foil dries quickly. It won’t harbor tiny drops of water for thirsty slugs and snails. It can be used decoratively, especially on potted plants. Because it has to be applied to a hard surface, it won’t sag down to the ground. It gives first class results if used in double-wide strips. Click here to check out the best prices for Copper Foil Tape on Amazon. 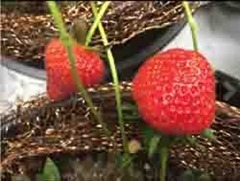 The Slug Shield Barrier & Repellent is copper mesh slug and snail protection for individual plants. It is the pick of the bunch if you don’t need to protect an entire garden bed; you can apply this copper bracelet around any plant with a stem up to 4 inches (10cm) wide. A major benefit is that the bracelet expands with the growing plant for protection all year long. Copper mesh bracelets for your plants don’t “zap” slugs and snails, but they do have some interesting electrical effects on the plants. The snail and slug protection mesh gently energizes the plant’s absorption of nutrients from the soil. But make sure the mesh extends completely around the plant, leaving no gap between the two ends of the coil. Click here to find out if it is in stock on Amazon. If not, then you can always buy the Garden Slug & Snail Copper Mesh Barrier and make your own. Slug and snail barriers only work if there are no slugs and snails inside your planting beds when you install them. To make sure your plantings are snail-and-slug-free, you may need to use baits or killers first.